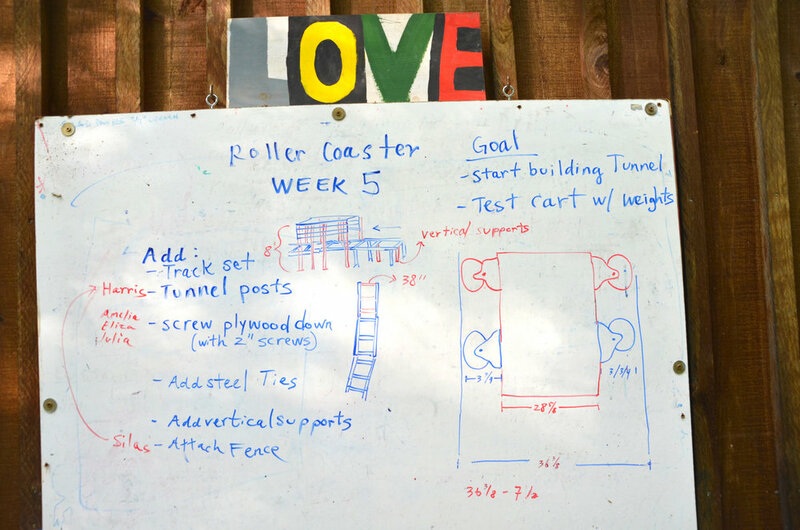 Over the course of 6 weeks, 6 students built a roller coaster in the woods out of 2x4’s and plywood. Each week students worked afterschool to design and construct this complex project, prototyping and learning by doing. This project is the second iteration of a roller coaster build, last years model was a straight run that stopped when the cart reached a pinnacle height. This years version included a 15 degree curve through trees and walls to guide the cart.